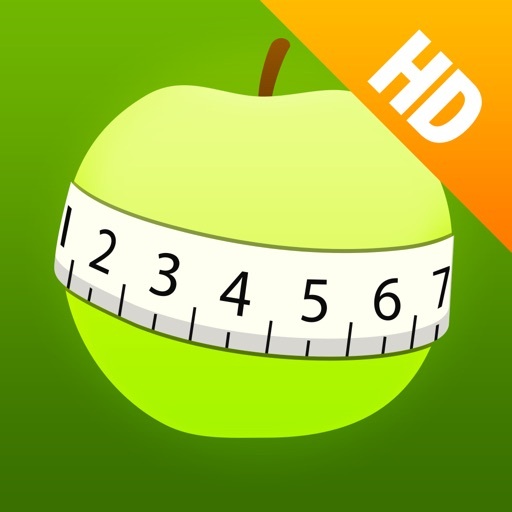 Food Diary and Calorie Tracker by MyNetDiary HD by MyNetDiary Inc. This pricey, but incredibly feature-rich app allows you to track just about every aspect of your health. 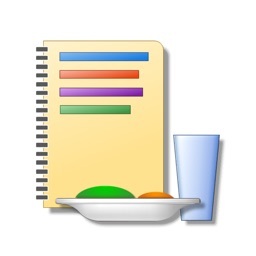 Far more than a food diary, you get a diet planner, recipes, and detailed nutrition database. Track your exercise, body measurement, blood pressure, sleep, daily steps, water intake, vitamins/medications, and more. You get access to an online community supported by a registered dietician. Your health journal gets synced between your iPad, computer, and even your iPhone if you wish. 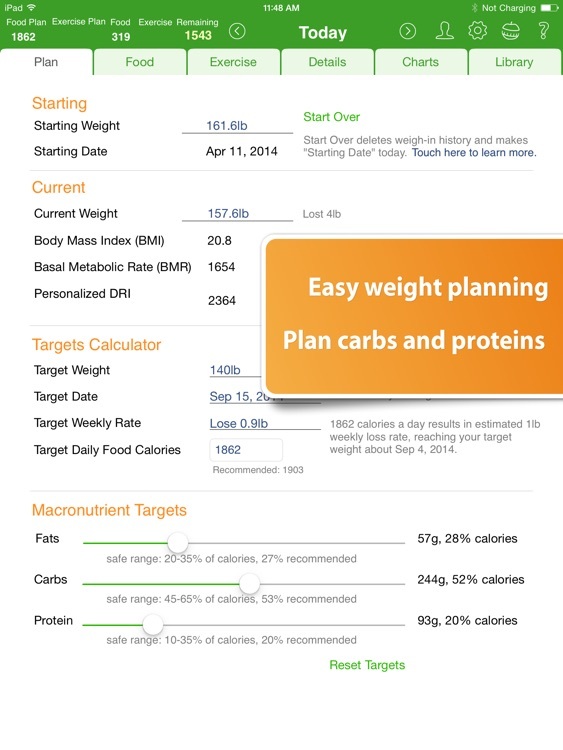 MyNetDiary is the easiest to use and most comprehensive food diary and calorie counter app on the iPad. MyNetDiary helps people lose weight naturally - by eating better and making better daily food choices, achieving your goals faster. 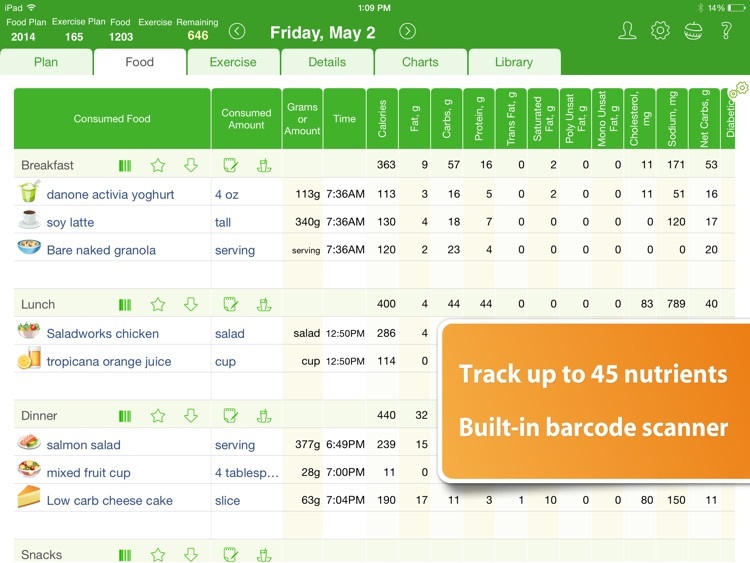 The New York Times, comparing to MyFitnessPal, calls MyNetDiary “simpler… quicker… Also, it looks nicer." * Simple, easy, and fast food entry. 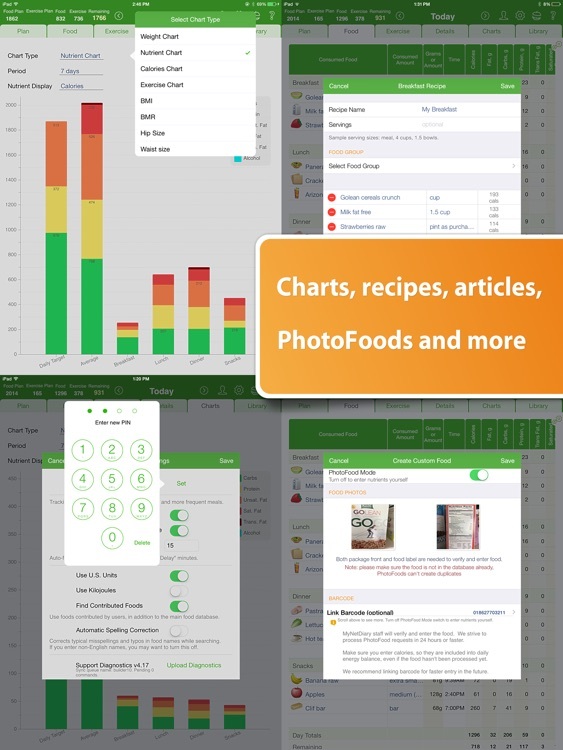 As simple and intuitive as a paper journal, only much, much faster - with over 690,000 foods at your fingertips. 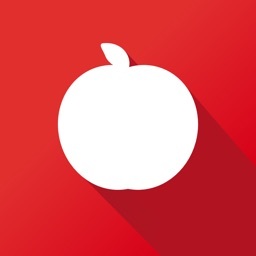 * PhotoFoods service - if a food is not in the database or out-of-date, send its photos from the app and we will enter or update the food for you, saving your time. * Works great offline without Internet connection, and syncs to the "cloud" - MyNetDiary.com when Internet is available. 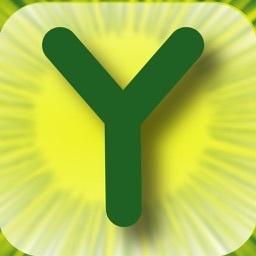 * "Excellent app! If you are serious about losing weight and getting fit then this is a must have app." * "This is the first solution that is quick, intuitive, and beautiful." 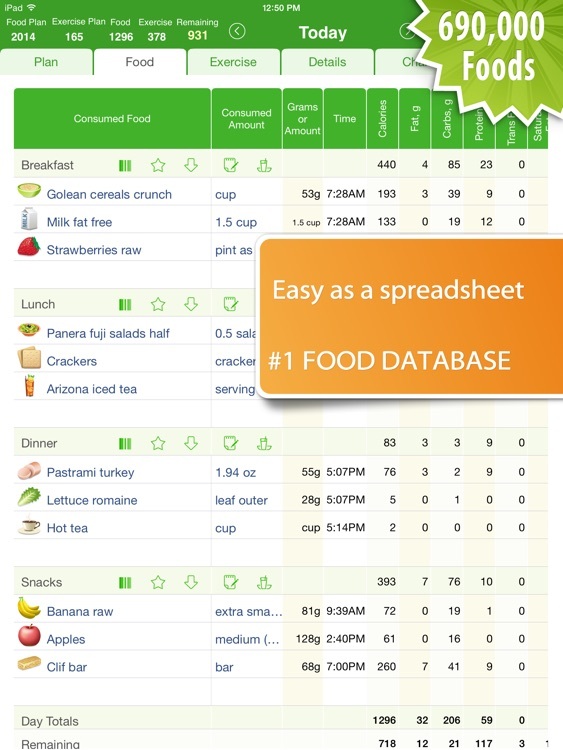 * Great food database - over 690,000 foods. Over 400,000 foods were entered by us and 290,000 popular foods were contributed by our members. UPDATED DAILY! * Your diary is safely stored on our servers, and can be accessed online - for food and exercise entry, data backup, and Community participation. * MyNetDiary mobile apps are available on all leading mobile platforms - access your iPad diary on the go from your phone.